Now I am at Tokyo dome cheering for Rakuten Eagles! Our company has a baseball team and every year, we have a Rakuten Homecoming day where all employees get together with family and friends to cheer for our team. 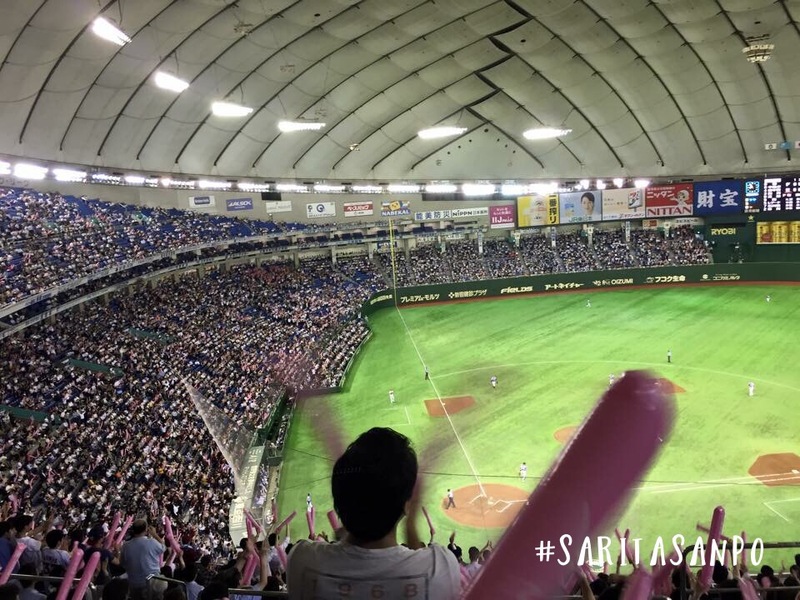 For many big Japanese companies, having own baseball team is a great way to do marketing and create a good tie with customers through sports. Companies, such as Softbank, DeNA, Nippon Ham, have own baseball teams and compete with each other annually. This is because Baseball is a famous sport in Japan where many boys are practicing hard to compete for his school team, and hope to compete in a national big event like “Koshien” a Japanese High School Baseball Championship. If you are very good at it, you can pursue a career as a baseball player in famous teams, such as Rakuten Eagles. Victory in Baseball means a great business performance! Believe it or not. In 2013 when Rakuten Eagles won the national baseball tournaments, the sales of Rakuten Ichiba (e-commerce shopping platform) skyrocketed. There were also campaigns launched by the company to attract customers to shop online at Rakuten and get special discount to celebrate this victory. This is a win-win campaign for the company to get more fans and also for Rakuten Eagles fans to enjoy special discounts. While enjoying the game, let’s enjoy the sweets too. 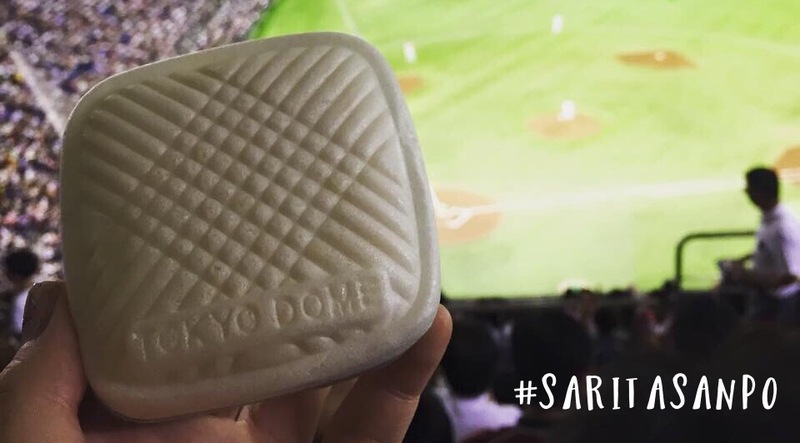 While enjoying the match, it is impossible not to enjoy the sweets exclusive to Tokyo Dome, which is Monaka Ice-cream in a Tokyo Dome shape. Monaka is Japanese sweets made of azuki jam (red bean jam) filled inside two thin crisp wafers made from mochi. For this Tokyo Dome version, inside the white wafer is vanilla ice-cream. I screamed with ice-cream, cheering for Rakuten Eagles!